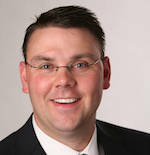 Brandon Meier joined the SoonerVision staff in July of 2007 as executive director of video production and was promoted to assistant athletics director for broadcast operations in 2011. Since he arrived in 2007, Meier has led a media transformation in intercollegiate athletics. His knowledge and experience in the field of TV and multimedia production have made him one of the most respected leaders in his field. Throughout his tenure at the University of Oklahoma, OU has become an industry leader in a variety of areas including TV production, video board production, digital signage, and video delivery over a variety of digital platforms. With 17 full-time and 100 part-time employees, many of whom who are students at the University of Oklahoma, Meier oversees one of the largest broadcast departments in college or professional sports. While Meier's cutting-edge approach and commitment to excellence has put OU at or near the top of video and television production at the intercollegiate athletics level, his impact has been so much greater on those who work with him. He has actively cultivated a strong, working relationship with the Gaylord College of Journalism and Mass Communication and its students have been the beneficiaries of this relationship. Students fill many of the key spots in everything that Meier's group produces. As a result, production assistants who worked for SoonerVision and graduated from OU are having a major impact in the sports industry. Among the projects that have been begun and that have flourished under Meier's leadership are the creation of the first University-produced TV partnership with FOX Sports. This partnership resulted in more than 2,000 hours of OU content on FOX Linear TV platforms in the first year of Sooner Sports TV in 2012 - 2013. He and his team produced more than 110 live OU sporting events for television in 2013 - 2014, expanding the visibility of the Sooner teams, the access for Sooner fans, and giving real-world experience to the many students who work with SoonerVision. Meier has produced and directed three documentaries on the history of OU football, Birth of a Champion 1895-1946, Legacy of Winning 1947-1963, and Dynasty of Championships 1964-1988. Meier was involved in this project from the beginning as he and his staff oversaw the transfer of disintegrating and rare 16mm canisters of film to digital files. They cataloged all the miles and miles of film to produce one of the most comprehensive video archives for one of the top football programs in the country. Meier's career began in North Platte, NE, as a photographer/reporter for KNOP-TV in his hometown. Meier earned his bachelor's degree in broadcast journalism and his master's degree in marketing from the University of Nebraska. While studying at Nebraska, Meier worked as a student assistant and producer for HuskerVision, eventually having the opportunity to work with the first video board at an intercollegiate athletics facility when Nebraska installed its first video board in 1995. From Nebraska, Meier headed to Houston where, from 2003-2007, he worked as the production manager/producer for the Houston Rockets. He operated the video systems inside the Toyota Center and led the in-game production for the Houston Rockets. He and his wife Beth, have a son and daughter, Brady and Bailey.